If we make it through, it's Bournemouth at Brunton Park in the next round. Milner shoves McQueen after another excellent, adhesive dribble from Hery. Free kick Carlisle on the right. Nothing from it. Bogdan catches. 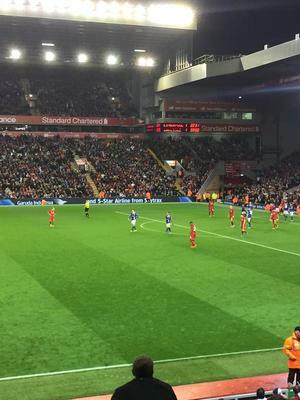 Crowd at Anfield tonight is 42,518. It's the near 5,800 Carlisle fans who have the most to be pleased about. A week of sporting shocks. Can #LFC do a Japan and beat #CUFC?? Four minutes of added time. Bloody hell. Milner tucks away the first penalty. Can with a Panenka to mae it 2-0 to Liverpool in the shoot-out. Luke Joyce misses too. Bogdan gets down to his right to tip it away. COUTINHO MISSES. GILLESPIE SAVES AGAIN. Ings scores, straight down the middle. Liverpool win 3-2 on penalties. Cruel. Hery misses. Carlisle are out. 3-2 on penalties.